So you’ve found your AV company (or preferably companies), and you’ve had meetings or calls with them to discuss your needs and they have created quotes for you. Now you have to compare AV quotes and make your decision. Stressful! Not only have we done thousands of quote walk-throughs with clients and helped them compared quotes, but we have also hired AV companies ourselves. Our goal is to share these secrets for reading and comparing AV quotes and AV vendors with you. This is how to compare AV quotes. So let’s jump right in. First concept we want to discuss is when comparing quotes make sure you are comparing apple to apples. You’ll hear this a lot when comparing AV vendors (for example, AV company A vs AV company B). For example, AV company B might ask what exact equipment AV company A is providing so they provide an identical quote with the same equipment. Apples to apples is the idea that in order to provide a realistic pricing comparison between A & B, it’s important to know exactly how the other company has structured their quote. That does NOT mean the AV company B needs the pricing from A. When creating quotes, there are hundreds if not thousands of options for equipment, and while there are some common industry standards, there can be a huge amount of difference in the equipment chosen. For example, we tend to pick higher end equipment to provide the best possible experience at your venue. For a large area which needs sound, we’ll put a large concert line array on the quote (which is ideal in some scenarios) but not all companies have the capability to do this or have the equipment in their inventory so instead they place multiple speakers around an area to get the same effect. One can cost as much as two times as the other. By doing multiple speakers, it might not be the best option for your event, but it will seem cheaper and if you’re looking to save on the budget, we would recommend the multiple speaker option but it can create a false comparison between companies when comparing quotes. So when you compare AV quotes, look at the specific equipment and make sure it matches up to the identical model in the quote you are comparing it to’ and if not, ask how it compares or do a bit of research on your end. Did you know that generic pharmaceutical drugs are just as effective as brand names? This is due to laws that require them to be as equally as effective. You can save a lot of money going with the generic choice over the brand, however this does not apply to AV equipment, and brand DOES matter. Make sure you are aware of what the warning sign brands are, and what companies are known for providing excellent equipment. You will be able to tell the quality brands because when you search for them on Google, the top industry publications in AV will be discussing them and their use in the largest events. 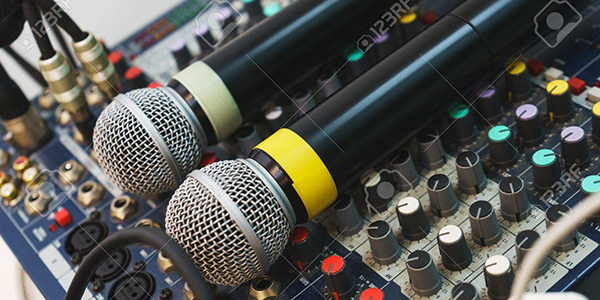 Have you ever received a quote that just says “2 wireless microphones?”. Beware of this! Have you ever gone to a car dealership and said: “Give me a sedan with 4 doors!” Probably not! Don’t do the same with your AV equipment. Similar to the the above points, if they don’t give you a brand or model at all, how will you be able to compare AV quotes apples to apples? Often companies do this because then they can put cheaper gear on your event when really you were paying the price of the nicer equipment. Sometimes companies will be VERY vague with their equipment names and use something such as “4 intelligent lights” when this could be a scanner fixture (let’s say that cost $50 to rent) instead of a moving head fixture (which could cost $250 to $750 to rent). Having generic equipment descriptions does not allow you to compare apples to apples and also it does not give you an exact idea of what you are paying for. Note: Many AV companies will say this is done to simplify it for the client so it’s easier to read but here’s the thing, yes AV quotes are complicated and no one expects you to know what a JBL VRX932LAP line array speaker is, but you should always be able to ask what it is, and they should be able to then explain it to you in plain English (if it’s confusing when they explain, they are trying to confuse you- they should be able to explain it in layman’s terms). As a technical person, I personally am a fan of itemised pricing as it allows me to see the exact pricing of a piece of equipment for quick apples to apples comparison. However, many other companies will agree that group pricing simplifies things for clients quite a bit as it helps eliminate picking and choosing of equipment (which is sometimes impossible since a lot of AV equipment relies on each other), but here’s my argument for why itemised pricing versus group pricing should not matter. If both quotes have identical equipment in quantities, brands and models, then it should not matter how pricing is displayed, whether one total or itemised. If you prefer to have it either way, a sophisticated company should be able to generate you a quote in any format you desire to see it. When comparing your quotes, be sure to look at the staff they have designated for your event. Will someone be there during the event to run everything? Do you have a single point of contact such as an event manager or do all of the technicians report to you? Sometimes labour can add up to a large number quickly so don’t be afraid to ask why they chose that many technicians and stagehands. Sometimes less staff might mean the setup/teardown takes longer. EVERYTHING should be on a quote – down to clamps, cables, and even bolts for truss. Some people think this is really overkill. Seems contradictory to our mission to make things simple right? However, let me explain why it’s important to see everything on your AV quote, even the bolts, which are free, and you don’t even pay for. Quoting systems tie into inventory so when selling something, it’s based on what is in the inventory and when we confirm an event, we’ll “pull” the equipment out of inventory so that way we don’t oversell but also because everything is barcoded in our system, when you see 4 bolts on the quote, you’ll have 4 bolts at your event and that insures you can hold us accountable for what you paid for but also that nothing is forgotten. So don’t be afraid to ask how a company does their inventory, because forgotten equipment can be a serious problem if they don’t manage it properly. Another point to make is charging for small things versus not charging. For example, some companies will charge you for cables while others will not. While these hardly affect the budget drastically, some people are can be caught off guard if they see this. Typically this will not affect your total budget very much as the cables cost you about 75 cents each (again pricing depends per company) but you can see how this might add up to $30 for your entire event. While I am not a fan of the “race to the bottom” that can happen if companies are given lots of chances to redo their bid. As a vendor, sometimes you first try a quote that isn’t lower than the other guy. However if the client likes how we do business, they will give us a second shot at building a quote. During this second shot, it’s helpful for the AV company to know the exact number you want them to get below and for you to ensure them it’s apples to apples (we sometimes ask for the other companies equipment and staffing list) to ensure we are indeed, comparing apples to apples. If you like a company but their price isn’t low enough, give them a second chance and they may make sacrifices to win your business. However, remember giving in return is important in this. For example, signing a multi-year contract, doing a testimonial video, referring you to another client, or something similar allows the AV company to make back the money it is losing by giving you a discount. Remember, AV companies have employees with families and if an AV company is doing well, it will be able to expand it’s service offerings and afford to hire the best people for your event. AV company selection is ultimately up to you …. but remember work through any quote received until you are satisfied that all the components are what you need.